According to the EPA (Environmental Protection Agency), the definition of medical waste is fairly broad “all waste materials generated at health care facilities, such as hospitals, clinics, physician’s offices, dental practices, blood banks, and veterinary hospitals/clinics, as well as medical research facilities and laboratories.” It fails to include any organization that produces medical waste such as syringes or needles from their employees or customers, or the home producer for that matter. How Much Medical Waste Is Produced? In short, almost all healthcare activities related to humans produce medical waste. So, can you imagine the dangers of what would happen if it was disposed of improperly? (How Often Diseases Occur in Different Groups of People and Why) WHO (World Health Organization) even mentioned that in 2000, there were 32% new Hepatitis B infections due to improper way of contaminated syringe disposal. 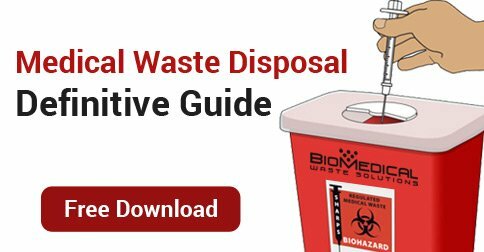 In 2002, WHO conducted a research to review 22 countries about their way of medical waste disposal management and resulting various ranges from 18% up to 64% that used improper methods of biomedical waste management. Dangerous, huh? In 1988, a famous act namely Medical Waste Tracking Act (MWTA) was addressed to handle the disposal of medical waste in coastal areas due to numerous medical and household waste throughout several coastal areas, therefore a two-year program was implemented in the affected areas (New York, New Jersey, Connecticut, Rhode Island, and Puerto Rico). This act was expired in June 21, 1991. 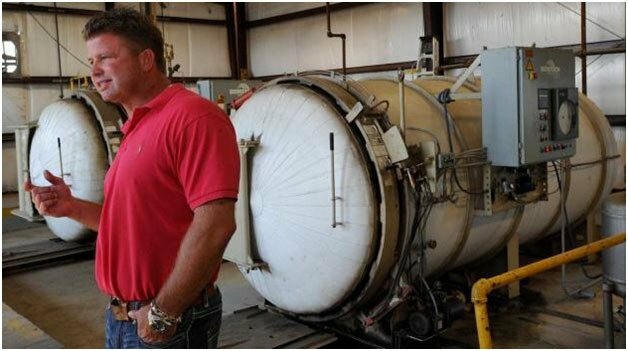 During that time, EPA gathered all information and performed medical waste related studies and together with MWTA, they managed to look at several treatment technologies that was available at that time involving incinerators, microwave units, and several varieties of mechanical and chemical systems that can be used for reducing the waste. Thus, resulting a different local regulation of medical waste management that was implemented to each state, such as Medical Waste Management 2015, as one of the recent medical waste regulation for California State. 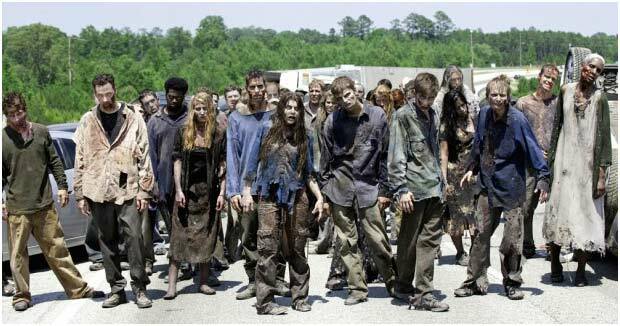 Sorry to disappoint our Walking Dead fans, but improper disposal of medical won’t be the cause of the Zombie Apocalypse in America because stringent regulations, laws, and guidelines. Of all the health care waste (HCW) there is essentially two types: Regulated medical waste (RMW) and unregulated medical waste (UMW). 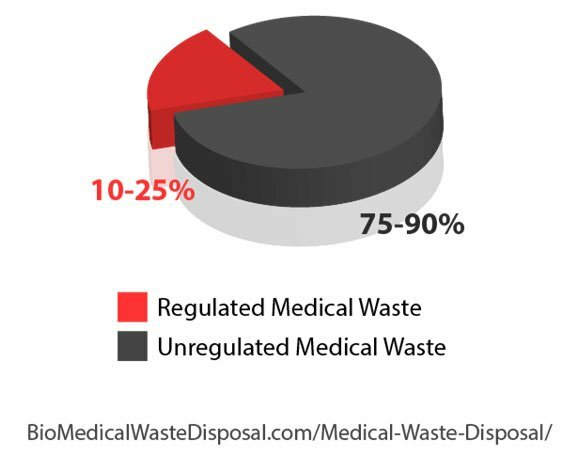 Approximately 75% to 90% of HCW is UMW (unregulated) or known as healthcare general waste (HCGW). This waste is similar to typical household waste consisting of papers and plastics that are not been in contact with patients and is categorized as non-infectious. This type of waste is simply disposed in accordance with municipal regulations. Approximately only 10% to 25% of HCW is infectious/regulated medical waste (RMW). Naturally this RMW has to be handled with special care as we’ll describe below because it could pose a threat to the health of others, either by contaminating the environment or through direct contact with an individual. Easier way to differentiate the two types is to ask yourself “could this waste kill someone or make them sick?” If yes, then this waste is regulated and must be handled with special care. Stage 1 – Collecting & Segregating The biomedical waste has to be collected in containers that are resilient and strong from breakage during the handling process. Do not place sharps, used needles, syringes, or other contaminated tools in common waste disposal or recycle bin because the entire waste will be infectious by doing so. The segregation also needs to be performed between the liquid and solid biomedical waste products. Categorizing the medical waste with correct segregation to isolate and manage each waste in the proper way. For this purpose, the segregations come in colored waste containers, label coding and plastic bags. Stage 2 – Storing & Transporting Specific requirements for storage facilities, such as a secure area that is inaccessible to the general public, as well as separated it from areas for food consumption. The storage facilities also have to be accompanied with refrigerator or freezer unit that can be used with medical waste if necessary. Some facilities even provided special vehicles and protective devices to dispose, handling or transport the biomedical waste products. Remember to observe and keep maintaining the protective devices periodically so it won’t be a source of transmitting the infections. The autoclaving system (a photo of our autoclave machine is below) is commonly used for the human body fluid waste, sharps, and microbiology laboratory waste. This system requires high temperature (thermal) that produces steam to decontaminate the biomedical waste. The steam plays a critical role in the medical waste autoclaving process therefore a good waste holding container is required. While most of human body fluid waste can use this method, but the cytotoxic agents that used for chemotherapy cannot use this method due to those types of waste are not degraded with autoclave steams. Beside autoclaving, irradiation is the other thermal method which uses a high frequency microwave for disposal. The wave will generate heat to the waste materials and kill all the bacteria, or any other contamination in the tools. 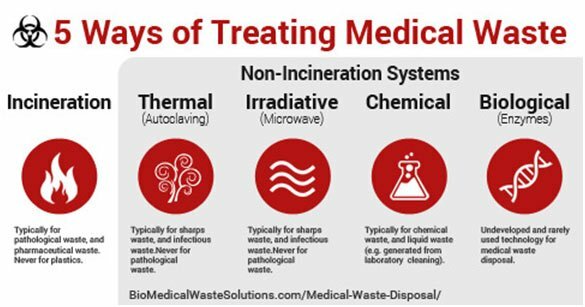 Another way of performing treatments for biomedical waste is chemical decontamination, this method can be used for microbiology laboratory waste, human blood, sharps and body fluid waste, but cannot be used for treating anatomical waste. Aside from that, biological processes is a method that employ enzymes to destroy the organic matter of the waste, however there are very few non-incineration technologies have been based on this biological method. As you can see from this article, great care goes into disposing of medical waste, and the way it is disposed is dependent on what category of medical waste it is and government regulations. We hope you find it easier to proper dispose of your medical waste. Dr. Intan Airlina is consulting Director of OSHA Compliance for BioMedical Waste Solutions, LLC (www.BioMedicalWasteSolutions.com). 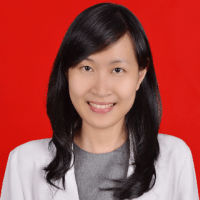 She is an Internist that holds an Internal Medicine Degree from University of Indonesia, learned tropical diseases and infection, also certified in patient safety from a Joint Commission International (JCI) and ISO certified hospital. Legal Disclaimer. This guide and medical information on this site is provided as an information resource only, and is not to be used or relied on for purposes or substitute for proper OSHA training. Please consult your OSHA trained provider, or contact BioMedical Waste Solutions for a consultation, before making any biohazardous waste disposal decisions. BioMedical Waste Solutions , LLC expressly disclaims responsibility, and shall have no liability, for any damages, loss, injury, or liability whatsoever suffered as a result of your reliance on the information contained in this site. If you do not agree to the foregoing terms and conditions, you should not enter this site. Interesting article – who knew medical waste removal was so complex. I guess I’ve never thought about what happens to syringes and suture needles etc. after they’re used. I’ve seen the sharps container boxes in Doctor’s offices, but didn’t know what they were for until reading this article. I for one am glad I live in the U.S. where we have OSHA guidelines and good waste disposal training, since the image of all this stuff washing up on a pristine beach somewhere is not a pleasant one. I was shocked at the statistic which stated hospitals produce 33 lbs of waste per day per occupied bed. Clearly there’s a great need for medical waste disposal companies, but perhaps hospitals should also address why they create so much trash. The cost of disposing of so much medical waste must be astronomical. Anyway, this was a well written and informative article. This is why I love the internet; you never know what you’ll learn next. This is one of the better articles that I have read about disposing of Medical Waste. It is not something we think about but as this article says Medical Waste Disposal is a huge problem. After reading I better understand the problem and now know there is a safe way to handle it. Hi Jerry! Glad you love the article. 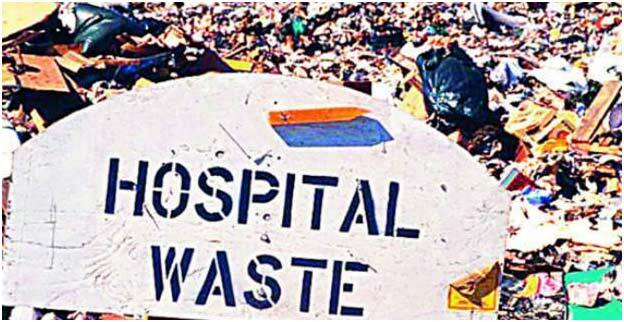 As a medical doctor, the biomedical waste is one of the biggest problems that has to be solved in the hospital. You will be very happy to know that the proper medical waste regulation by OSHA is highly recommended. And yes, it is quite amazing that almost all hospital around the world are working with biomedical waste company to resolved this problems. Aside that, you are right! it is very important for you, as an individual, who is not a healthcare personnel to also know about the proper management of handling the waste, in order to prevent you from any potential infection that might occur surrounds you. We run a parrot rescue and have a lot of contact with people all over the world. It is amazing how many birds are affected in many different ways by waste. If waste from other industries was regulated as well as Medical Waste Disposal is, there would be less of a problem. Also having Medical Waste Disposal Companies makes a tremendous difference. If only other industries would use what happens in this field then we would not have near the problem we do. Great article with a ton of good information. Thank you for making this information available. Hi Jim! Thanks for the enthusiasm. I also agree with you. Surely your opinion about wastes from other industries are correct. That is why we also very grateful about the OSHA regulations that properly handle the waste and make the waste become less harmful for us; aside from the Medical Waste Companies that simply make it happen. If other places would do as good a job as medical waste disposal companies do at processing waste things would be much better. I have seen the Sharps Container Disposals hanging on the wall of medical offices for years but had not put much thought to it. After reading this article I understand the role that medical waste companies play in disposal of medical waste. I also have a new appreciation for medical waste disposal cost that the medical offices have to pay. Again, I had not thought about it. Hello Rakip, thank you very much for your comment. Yes, we know that sometimes the containers and everything that are located in our clinic is look simple, but that is why OSHA and the Biomedical Waste Disposal Companies are great! They simplified everything surrounds us to keep us safe. Glad that you appreciate the article. Wonderful article. I learned a lot by reading it. I know that medical waste disposal is a growing problem and I for one after reading this understand the role that medical waste disposal companies in all of this. It is good to know that medical waste companies and OSHA trough training for medical offices is helping keep this problem under control. Waste disposal is a growing problem that new solutions need to be thought about. We cannot continue the same old methods. After reading this article I am reassured that at least medical waste disposal companies are working to keep from further damaging the environment. Hi Tipton. happy that you learned a lot by reading the article, it is very nice to know that the world we living is simply regulated with properly waste management to keep us healthy. The OSHA and medical waste companies are highly trained personnel that have qualifications for this problem. So,hopefully we will keep on improving and seek the best for managing the waste properly. Thank you for commenting. Having worked in the medical field I have had experience with medical waste and medical waste disposal. I can personally say that the OSHA’s training for the medical offices is good training. Our medical waste disposal company also offered additional training on how to handle medical waste that was as good or if not better the the OSHA training. Most people do not realize it but because of the expense of properly handling medical waste disposal the cost can be one of the big expenses that a medical office has. It depends on the type of practice they have. 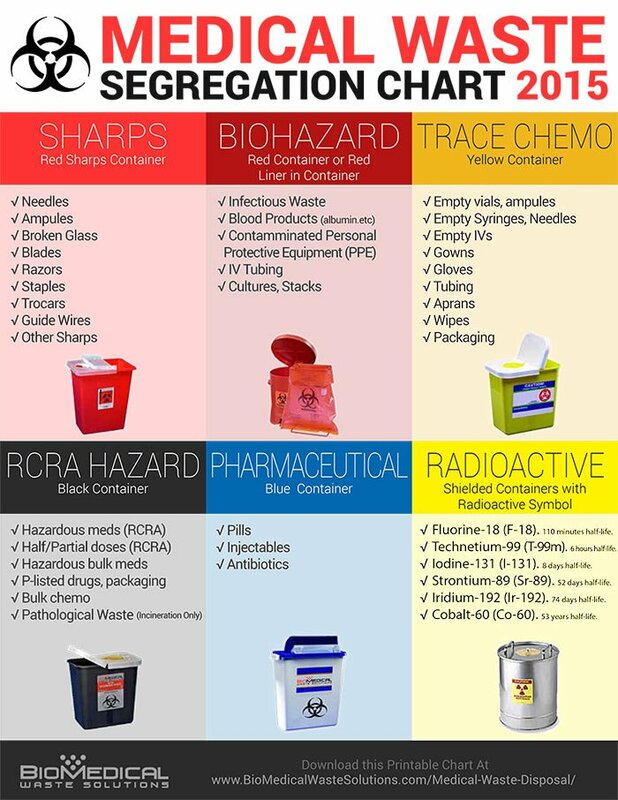 Great article with useful information for people who have no idea of what is actually involved in medical waste disposal and that is it much more than a Sharps container that hangs on the wall in doctor’s offices. Yes, it is true, thank you Naham for make a comment about the expenses. With your background in the medical field, then you know for sure that a proper management cost a lot, but it is worth the amount, because our health is a gift that no one can ever buy. Therefore, we are very grateful that we live in the world where people surrounds us are keeping us healthy, like OSHA and the biomedical waste disposal companies. Waste of any kind is a problem all over the world. Most waste disposal is unregulated and uncontrolled. This article was good for me to read. I found that I knew practically nothing about medical waste disposal. I had seen the Sharps containers disposal units hanging on the walls in medical offices but did not give any thought to what they did with them. After reading this I now understand the important role that medical waste disposal companies play in disposing of medical waste properly. At least items that are contaminated are not being put in to landfills without being sure that they no longer pose a danger. This is a larger problem then I ever imagined but at least steps are being made to keep it as safe as possible. Thanks Bill. Happy to hear that the article is informative for you. True, that in some places, the medical waste still not properly regulated, which is why it is very important to know about the right way to dispose the waste. And yes, it is relieving that at least with OSHA and the medical waste disposal companies, those wastes are properly handle to avoid any danger for us. After reading this it adds to my list of the staggering amount of things we are doing to pollute Mother Earth. At least from what I read here medical waste disposal companies are doing their best and should be examples for other fields of what can be done to control the impact of waste. It seems with the staggering cost of medical waste disposal that medical offices and medical waste disposal companies would be working together to reduce the waste. Maybe they are because if not the amount of waste will continue to escalate. One of the things that was good to hear is that OSHA has training for medical offices to make sure that they are keeping up with regulations. Yes Bo. It is exactly like you say, luckily the pollution become less because of the OSHA regulations and it is a big achievement for the healthcare system regarding the medical waste. It is hardly imagine if we don’t have the biomedical waste disposal companies and OSHA, especially like the old days before anything has been found. We are so lucky to live in this world with the help of the biomedical waste companies and OSHA regulations. I had no idea of the amount of medical waste that medical waste disposal companies have to deal with on a daily basis. 33 lbs of waste per day per occupied bed in a hospital. That is staggering. 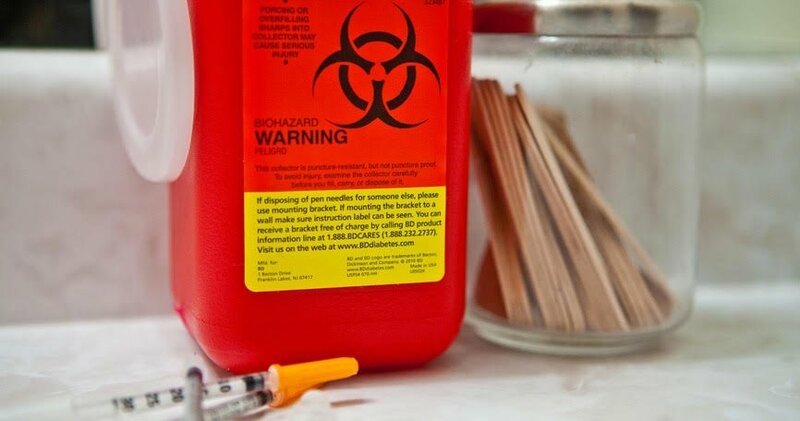 My idea of medical waste were the red sharps containers on the walls of doctor’s offices used to dispose of needles. I had not thought about all the other stuff or about medical waste disposal cost and that there has to be a medical waste company involved to dispose of it along OSHA’a guidelines. Eyeopening article to say the least. There is a lot that I didn’t know in this article. For instance that there are five ways to decontaminate medical waste that medical waste disposal companies use. I assumed that it would be burned or land filled but did not think about the other ways. I have noticed the red sharps containers in doctors offices but after I read this I started looking around and realized that some of the other six containers were also in my local doctor office. Lot of good information in the article. Hi Farjana, thank you for your comment, It was really nice. Glad you observe all the containers in your local doctor office, we are very happy that people become aware about the usage of those containers and its advantages. the containers are helpful for the doctor and for you too in order to maintain your safety. 🙂 Keep reading. Waste is slowly but surely filling up our planet. Unless something is done this planet will truly be a waste land. After reading this article about medical waste disposal and how medical waste disposal companies are dealing with this huge problem I was encouraged. It is good to know that OSHA has training for medical offices in how to use medical waste. It was also interesting that medical waste disposal companies have 5 options to treat waste so that it is not a health hazard. That I did not know. So it is good to see that at least in the medical field there are competent waste companies to handle the problem and not add to the problem. That is encouraging. Now if other businesses and industries would do the same we might have a chance to cut down on some of the waste we generate. Congratulations for this article. I am on my way to create heelthcare waste center in my country Cameroon located in central africa. This business need a lot of money and much experience. where can i find financial help and training to create this business very gainfull. I held a master degree in environmental management and it is been 3 years ago that i became interested of healthcare management. Can you give me you help me with that please? that part its may wonderful experience.